The strong classic look of the push pole designed tent is perfect for many events. This design has center pole(s) and must be anchored with stakes. 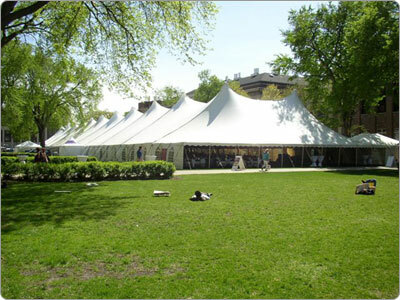 Contact us today for more information on St Paul tent rentals.